Lisbon, a name which evokes visions of sun, steep cobbled streets and trams, has these and muito mais (a lot more) to offer. 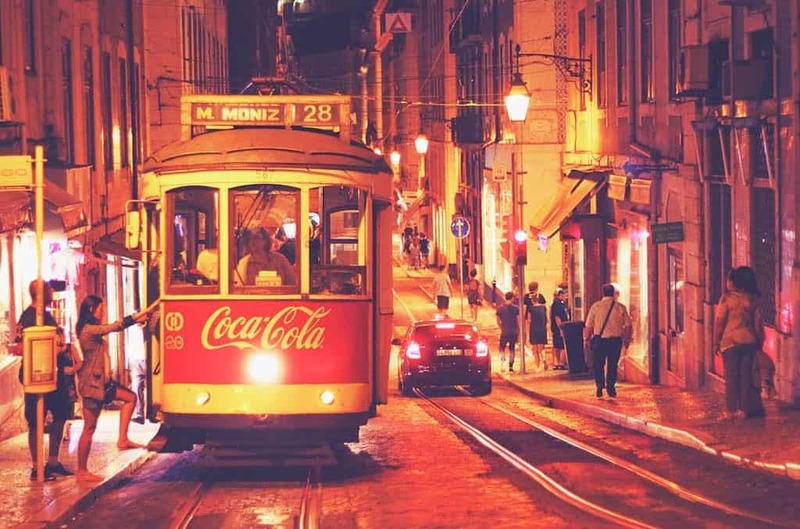 To get around, take an antique tram ride and hurtle down the steep hills of Alfama. Or you can enjoy a peaceful boat trip out on the River Tagus. The sound of music here is Fado. The dramatic vocals of this tradition music hail back to the working-class days of Alfama. Fado was influenced by a diverse immigrant population and can be found in many traditional and tourist venues today. Walk on the modernised river banks and you will find the impressive MAAT Museum of Art, Architecture and Technology. This converted power station shows impressive video installations, art and photography. Further down the bank you’ll find Belem and the national architecture museum, the famous Jerónimos Monastery as well as a monument to Henry the Navigator. 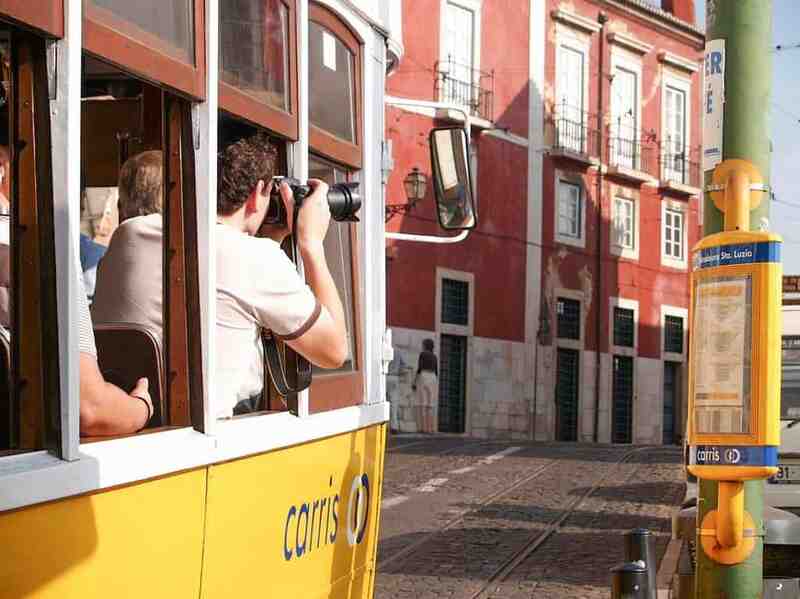 In Lisbon city you can find many individual museums – a puppet, an azulejos (original tiles) and a tram museum. Some activities such as looking at fabulous city views and wandering through tile-splashed buildings can be enjoyed for free. However, seeing Lisbon from the skies (balloon or helicopter tours) may be worth the price for some. 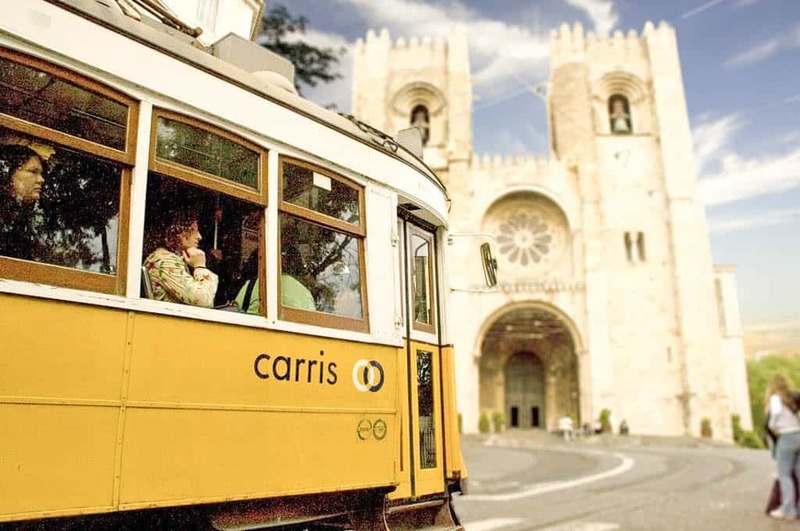 What is special about Lisbon? 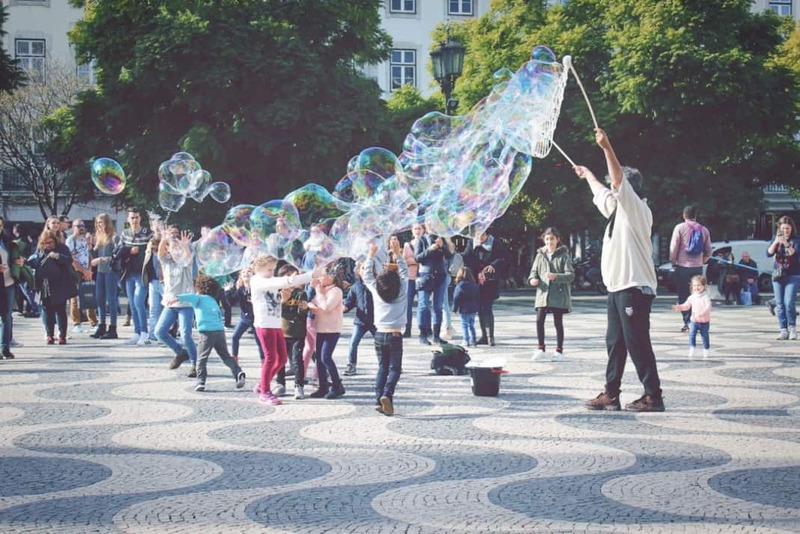 The great thing about Lisbon is that you don’t need to spend a lot to enjoy the city. The city ‘built on seven hills’ offers outstanding viewpoints from Castle Hill and the lively Miradouro do Santa Caterina. This means you can sample cocktails and beers while enjoying panoramic views from a variety of spots. To enjoy a ride through these hills, hop on the epic roller coaster ride in the antiquated yellow Tram 28. First of all, Lisbon’s ancient castle is still intact and overlooks the city. Walking up the steep cobbled street to visit it is an experience in itself. Once in the castle grounds, you may find the view from the castle walls more outstanding than the interior itself. A short bus or tram trip away is the incredible late 15th century Jerónimos Monastery in Belem. This unique building features hundreds of metres of facade and also houses the tomb of famous Portuguese explorer Vasco da Gama. 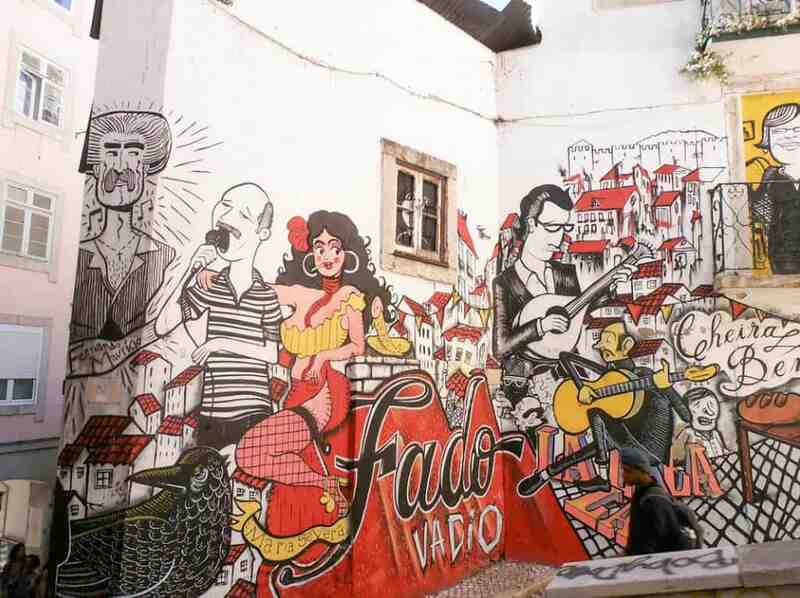 The Alfama area of Lisbon is the birthplace of Fado music. The style was developed by Alfama’s working class immigrant population and as a result you can still hear the melancholic sounds in the district today. The best way to experience Fado is combined with a dinner. Many taverns and restaurants in hip Alfama put on shows along with traditional Portuguese fare. Another pastime is feasting in taverns, palaces or cafes which are decorated with traditional hand painted tiles from floor to ceiling.